Paper, Lace and Buttons. : Sweet Christmas. Away from the standard traditional colours of Christmas for this card, instead using Pink! the images from Sweet Christmas Stamperia paper pad are simply stunning. Materials used include, Doohickey dies, berries, pink bells, pink rats tail twine, pink flowers, cheesecloth and pearls and wooden lamp embellishment. Entering into Allsorts challenge wk 437 Think Pink. psssst....Don't forget to follow my blog as you never know what may be occurring just before xmas! 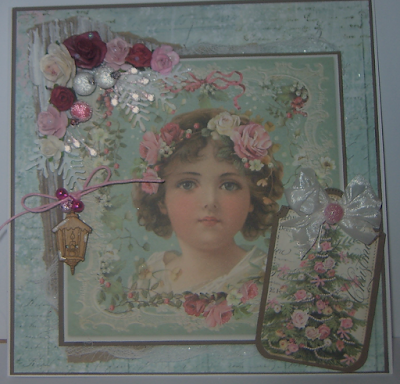 Lovely image and gorgeous embellishments. Thank you for joining our 'Think pink' challenge at Allsorts this week. It's a really pretty and feminine creation and perfect for our Think Pink theme at Allsorts, many thanks for joining in. 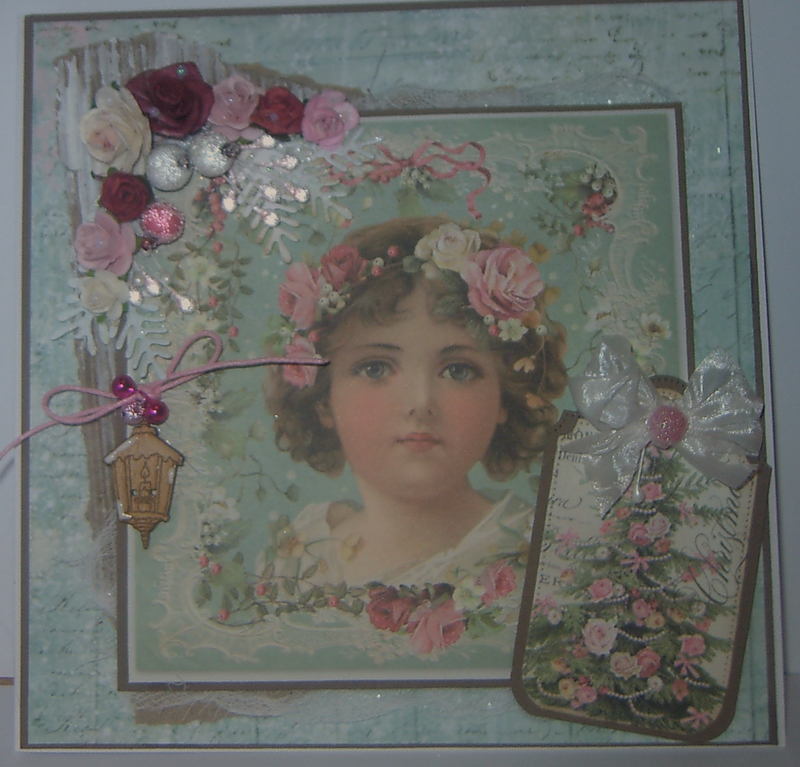 Fabulous vintage Christmas card in pink.